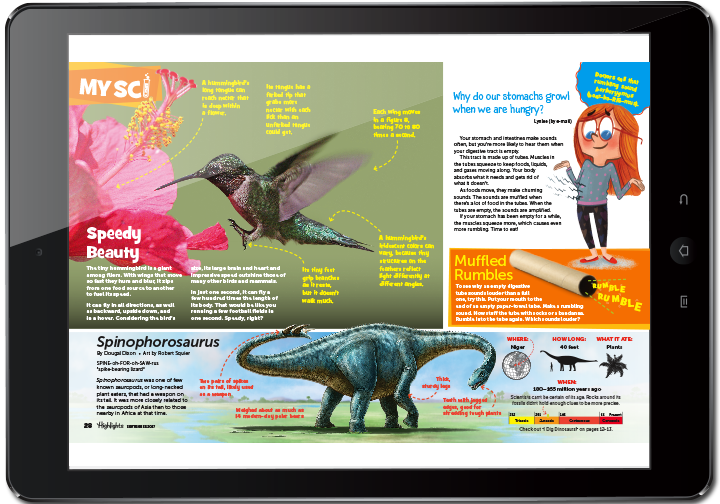 Give kids access to their favorite magazine, no matter where they go! 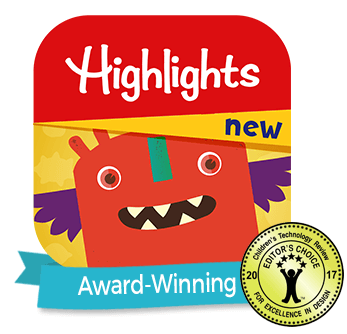 Highlights™ Magazine for Today’s Kids! 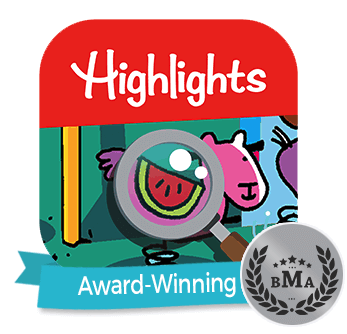 The most-read children's magazine is better than ever! 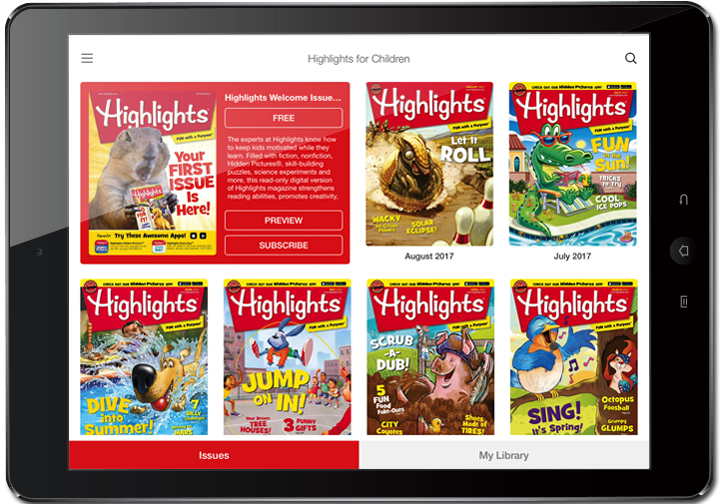 Highlights magazine can now be accessed digitally on iPad and other tablets, making it easy to use and just right for today's 6- to 12-year-olds. Now, kids can take along the reading and fun of ALL their issues! 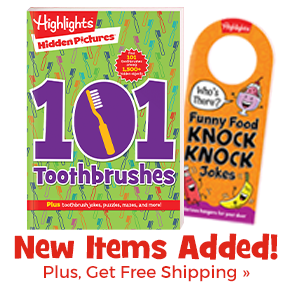 All of your child’s Highlights favorites are included — Hidden Pictures® scenes, Ask Arizona® columns, engaging stories, fun games, craft ideas, Goofus and Gallant™ episodes and much more. Download a full issue FREE today! 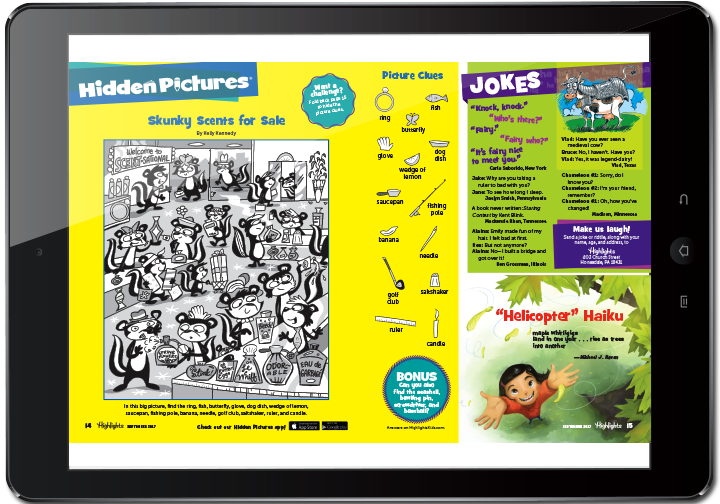 PLUS, 8-10 bonus pages at the end of each issue – exclusive to the digital magazine! 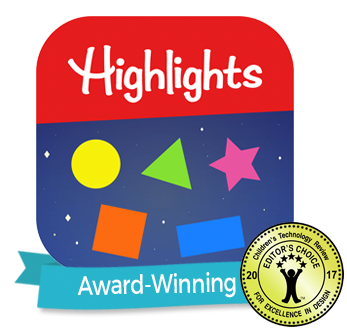 The Highlights digital magazine keeps kids entertained and engaged, while strengthening essential school skills and promoting a love of reading, thinking and learning. 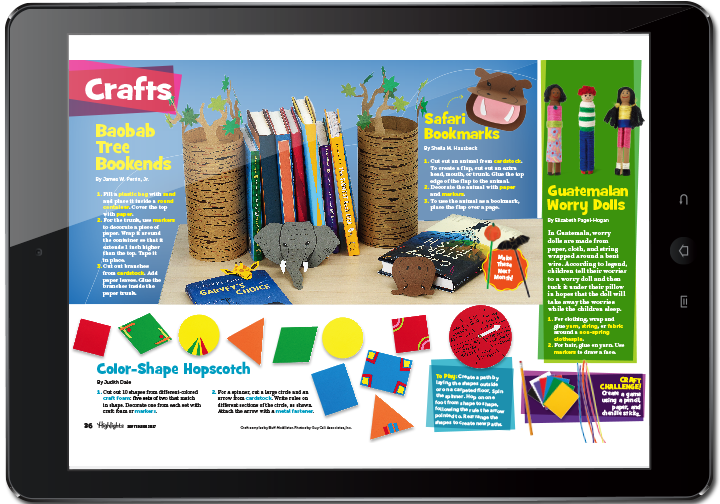 With new stories, puzzles and activities every month, Highlights digital magazine is ideal for car time, waiting time, down time — any time! Issues available for individual purchase for $4.99 each, or as a yearly subscription (12 monthly issues) for $39.99. Yearly subscription automatically renews unless auto-renew is turned off at least 24 hours before the end of the current period. Account will be charged for renewal within 24 hours prior to the end of the current period. Account will identify the cost of the renewal.